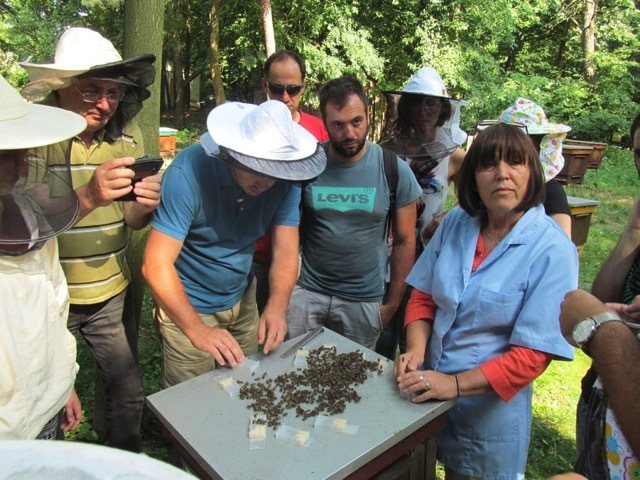 SMARTBEES at APIMONDIA: Gold medal for DVD: "Queen rearing in an intensive system"
The SMARTBEES training for instrumental insemination of honey bee queens was organized in the laboratory of the Bee department in Pulawy (Poland) from 8th to 12th of July. 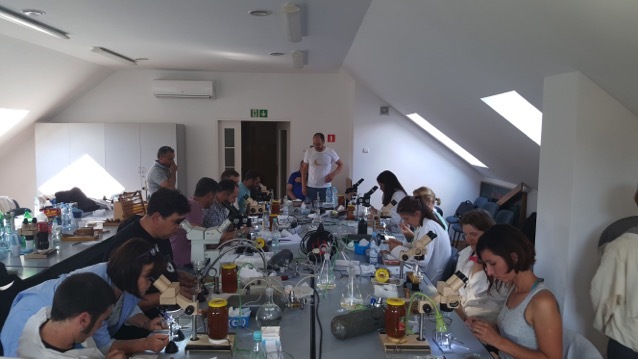 Eleven participants from Spain, France, Italy, Malta, Greece, Macedonia, Serbia, Romania, Croatia, Poland and Lithuania were trained by Dr. Malgorzata Bienkowska and Dr. Jacob Wegener in the basic techniques for instrumental insemination as well as in management of drone producing colonies. 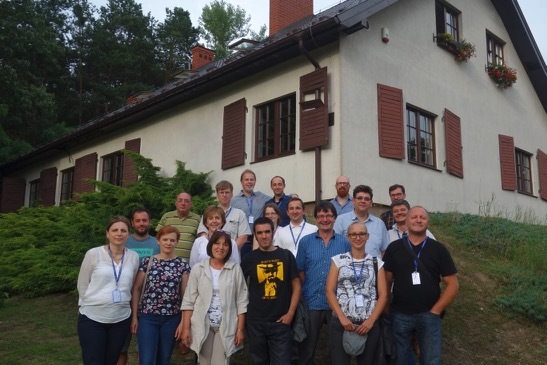 The 3rd SMARTBEES seminar for the breeding coordinators (http://smartbees-fp7.eu/Extension/Performance/Breed-Coord/) was held in Pulawy (Poland). During the two days seminar (6th and 7th July) the participants actively discussed the progress achieved so far and the challenges faced during the implementation of the breeding programs. In addition, suggestions and ideas concerning the future of the SMARTBEES breeding network were presented and discussed. SMARTBEES' consortium member Hessen Bee Institute, Germany, Dr. Aleksandar Uzunov (right), met with Hon. 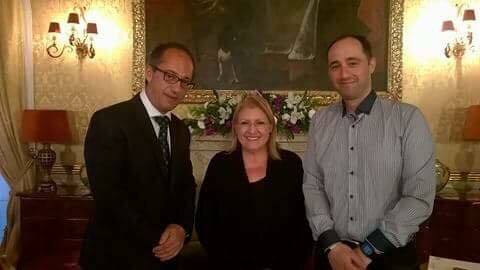 Marie-Louise Coleiro Preca, President of Malta, and Prof. David Mifsud, University of Malta & Breeds of Origin Conservancy, to discuss the planning of future conservation strategies for the Maltesean native honeybee, Apis mellifera ruttneri. Please see HERE for a continuously updated list of publications generated by various members of the SMARTBEES consortium. The Times of Malta has covered a meeting that members of the SmartBees consortium organized. The article is linked here or for download here. after this presentation Adrian Siceanu will be presenting about: Preliminary study regarding infestation level of Varroa (Varroa destructor) correlated with honeybee colonies survival in a case study in Romania. Ewan Campbell: Proteomic analysis of Varroa destructor saliva: do factors in mite saliva affect bee immuno-competence? The complete program is found here. SMARTBEES in the EU Research and Innovation Magazine! The average worker bee can pollinate up to 5 000 flowers in one day, yet only produces 1/12 of a teaspoon of honey in its entire life. Honey production and pollination may be at risk as the bee population in parts of Europe continues to dwindle due a decline in habitable space, pesticides, and the deadly varroa mite, which has been the main reason for the majority of colony losses over the last 50 years. Some researchers, backed by EU funding, are looking into ways to measure bees’ resistance against the mite to teach beekeepers how to breed stronger populations. You may find the full text entitled "Eight creepy crawly facts that will really bug you" if follow this link. On April 30th and May 1st a training event was held in Lithuania with 45 breeders. In beautiful Avignon, France, another training session was concluded in early April. 35 breeders/beekeepers from entire France attended. 2016 started with two further training seminars: 35 breeders met in Portugal (Nisa, 3rd or March) and in Malta the SmartBees team met with 14 breeders (6.3.2016). SMARTBEES activities of the team of Agricultural University of Athens-Greece (Laboratory of Agricultural Zoology and Entomology) were presented in 5th Panhellenic Beekeeping Congress, Piraeus, Greece, 4-6 December 2015. Please find the talk (in Greek) for download here. The team of Agricultural University of Athens-Greece (Laboratory of Agricultural Zoology and Entomology) published a poster presenting “SMARTBEES” project, in 16th Panhellenic Entomological Congress, Heraklio, Crete, Greece, 20-23 October 2015. You may find the poster (in Greek) here for download. The colleagues at the Agricultural University of Athens have written an article in the beekeeping journal "Melissokomiko Vima" January - February of the Federation of Greek Beekeepers' Associations. Here is the pdf of the article. 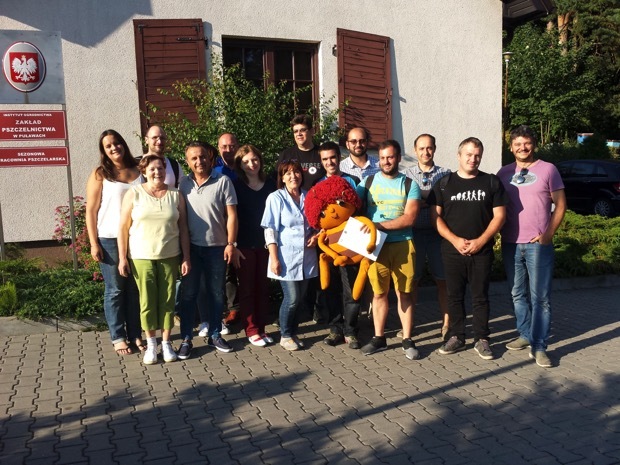 A training for performance testing was held in Bucharest (Romania) on October 10th. Article in the German weekly newspaper "Die Zeit"
The well-known and respected weekly newspager "DIE ZEIT" published an article focussing on the mite problem and mentioning in detail the SmartBees project. 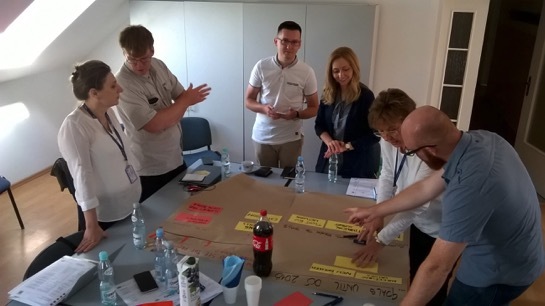 Two further training seminars were successfully held in Poland (Pulawy) and Greece (Athens) on May 30 and June 20, respectively. We have successfully conducted 2 training seminars in Norway (Klofta) and Croatia (Sisak) on June 6 and 13, respectively.